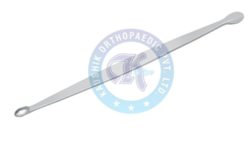 We are among the most prominent names in industry, engaged in manufacturing and exporting an exclusive range of Volkman Double Ended Curette. We have used the stainless steel in fabrication of these curette that has been procured from authentic and reliable vendors of the industry. 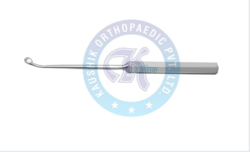 Our range of these curette has been designed in such a manner that they one side is round shaped and another is in oval shape. 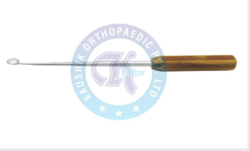 We are one of the reckoned manufacturers and exporters of Burn Bone Curettes. The materials we have used in manufacturing these curettes have been procured from some of the genuine and legal vendors of the industry. These curettes are easy to use and have firm handling. We offer our range in varied specifications that meet each and every need and variegated demands of the clients more appropriately.